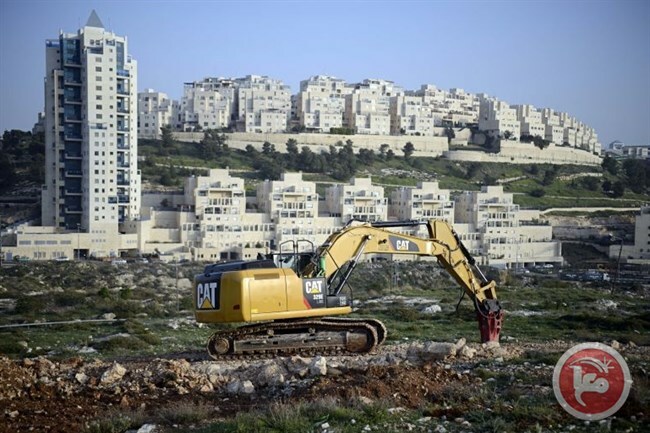 BETHLEHEM (Ma’an) — The Israeli Supreme Court ruled, on Wednesday, to grant ownership of Palestinian land, located near the illegal Israeli settlement of Gush Etzion, south of Bethlehem in the southern occupied West Bank, to the Jewish National Fund (JNF). Hebrew-language news outlets reported that the Israeli Supreme Court’s ruling grants Israeli settlers from JNF ownership rights to 522 dunams (129 acres) of Palestinian land surrounding the illegal Gush Etzion settlement. Sources also reported that Israel’s Supreme Court rejected an appeal filed by Palestinian owners of the confiscated land against a previous decision ordered by the District Court in Jerusalem, stating that JNF has ownership of the land in question. Sources added that JNF claimed it had obtained ownership of the land since 1944 after purchasing it from a Palestinian family that emigrated to Latin America. It is noteworthy that the illegal Rosh Tzurim settlement and the council offices of the Gush Etzion settlement were already built on the 522 dunams prior to the ruling. Additionally, Palestinians were banned from entry to the lands, although they possess ownership rights from decades ago. In some cases, Palestinian owners were allowed entry once to twice a year, in order to pick olive harvest.